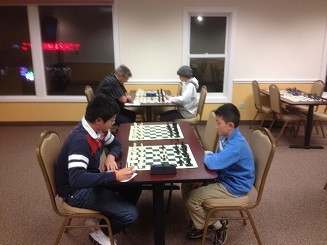 Our regular tournaments continued over the Thanksgiving holiday weekend. 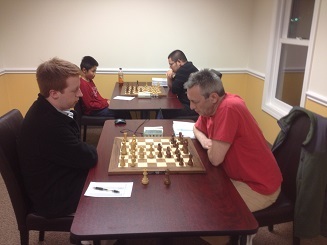 This Friday NM Ian Harris won the first quad with a perfect 3/3 score! Grant Wang got the better of Leo Bykhovsky in the final round to win the second quad also with a perfect score!